Police have identified the suspect who was shot and later died Wednesday night after he stabbed two children in a West Philadelphia home. Philadelphia resident Christopher Sowell had stabbed two children in his West Philly home as well as assaulting his 12-year-old daughter around 7 pm. He then left the house and went to a family friends house a couple blocks away at Cobbs Creek Parkway, and Webster Street. While in the home he stabbed a 70-year-old woman, as well as assaulting a mentally disabled woman. Police arrived on scene and after an unsteady confrontation with the Sowell, police ended up shooting the suspect. He later died at Penn Presbyterian Medical Center. Both children who were stabbed are in critical condition. Police say this is still an ongoing investigation. The temporary deal that allows mobile taxi services such as Uber and Lyft to legally operate on the streets of Philadelphia will end this Friday at midnight. The Philadelphia Parking Authority had put a three-month hold on banning Uber and Lyft till the end of this month, and after the end of the month they will once again be illegal to operate, since they have not been able to pass a bill to regulate them. 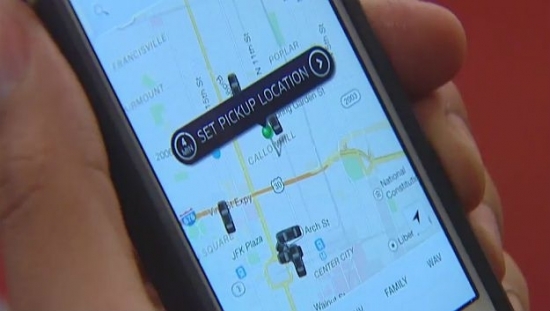 Lawmakers in Harrisburg won't be back in office till October 17th, so until then, the PPA will be enforcing the law banning the mobile taxi services. Lyft released a statement saying that they will continue to operate on Saturday even with the ban. Uber still has yet to make a statement. Philadelphia Police have arrested a man who was involved with a hit and run incident in 2014. 43-year-old Christopher Cook hit 33-year-old Theresa Pozzi with his truck on De. 23, 2014 while she was crossing State Road in the Holmesburg section of Philadelphia. After hitting Pozzi, Cook had fled the scene in his truck while witness stopped to help her. She was rushed to Aria Health where she later passed. Cook has been charged with accident involving death, homicide by vehicle and involuntary manslaughter. Tonight, Rain continues, with a low of 61 degrees in Center City.